So July turned out to be the first month this year that I didn’t actually cook anything out of my new recipe book. Actually, that’s not strictly true. I did in fact cook several things out of my new cookbook. They were just all things I had previously made for this challenge. Which actually makes it a bit less of a failure I think? Because it means that I’ve established new favourites. New recipes that I won’t just make once and forget about, but things that I enjoy and will cook regularly, meals that have worked their way into my regular repertoire of recipes. When I find myself with an excess of a particular vegetable, I think ‘ooh I could make x’ and x will be a recipe from my new cookbook. (For example, on Monday night, faced with a glut of spinach and a lack of inspiration for my dinner, I made a pot of Saag Aloo soup.) I’m trying things out in different combinations, finding what works and refining the recipes to my own tastes. In finally got some harissa paste and spiced up my couscous, and let me tell you that was an excellent life choice. I sometimes find harissa paste to be somewhat overwhelming but in couscous it binds and lifts the dish without becoming overwhelming. 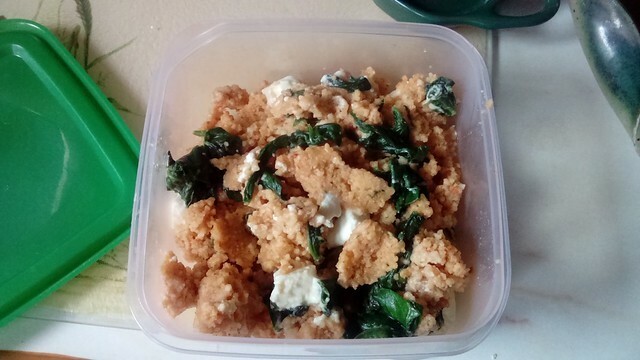 I mean, look at this loveliness, I just wilted some spinach and warmed up the feta cheese before I chucked it in and it just looks so fancy and tasty. To think that for years I thought couscous was rubbish because of terrible supermarket couscous salad tubs. Now I get to eat all sorts of lovely couscous based lunches just by making it myself. 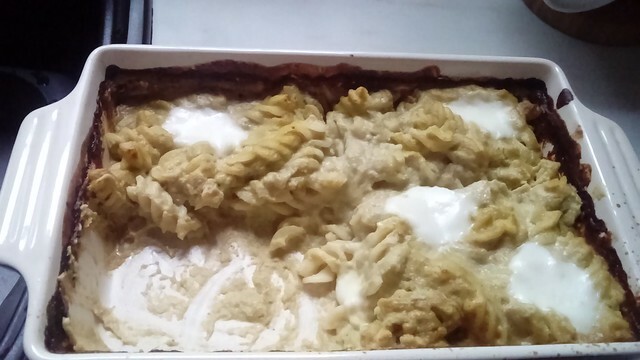 Oh and there was that time that I made pasta bake with a sauce that was essentially broccoli and blue cheese soup without the potato, the most unctuous cheesy deliciousness was created. So I may not have achieved the targets I wanted to last month, I did have some arguably more lasting successes in embedding the recipes into my wider cooking repertoire.